He gave this comment as a statement, flat and decisive. I had suspected I would get this type of response, so I tried to play it cool, like it didn’t bother me. But it still stung a bit, since I had hoped for his support. As a long-time yoga teacher, I was excited about the opportunity to serve those who could potentially receive the practice’s mind-body benefits and who also might not have access to or have experienced yoga before. I knew I wasn’t going to fix them with a single yoga class, but I hoped by connecting with someone who saw them as whole and unbroken, they’d know they don’t have to be defined by their current situation. My husband, on the other hand, saw it through the eyes of a police detective who specializes in crimes against children. He has seen the worst in human behavior on levels you and I can’t even begin to imagine. Additionally, he had worked in the very jail I was going to. He knew much better than I, with my dialed-up altruism, what could go wrong. He is an outstanding human being, as is almost every single police officer I’ve met. His misgivings were based in a reality I had never experienced but one he had the first-hand experience of. I understood his concerns, but my pride and ego were still hurt because he didn’t support the work I wanted to do. I went ahead and pursued teaching with the support of the Prison Yoga Project and ended up teaching the female inmates at the county jail. In the early weeks, my husband and I continued our unofficial cold war and didn’t talk much about what I did. But that didn’t affect my enthusiasm. I love my work at the jail. My students are as diverse as an exclusive studio’s clientele. I’ve had pregnant women, a mother-daughter duo, young, old, and a few who’ve gotten out only to come back a few weeks later. I never ask what they’re in for, but their tattoos tell more about their lives than I could read in their record—the deep grief for all they’ve lost engraved in black and smeared faded colors on their skin. The most common tattoos are in memory of people who’ve died. I wonder if there is something temporarily soothing to literally feel the pain of grief being etched into their skin and buried under the surface. I only have to look at the tattoo on my own wrist in memory of my son to know the answer. In the months that followed that initial conversation, my husband and both began to soften our stance. I found him to be a good resource for some questions I had about legal procedures or other things that came up, and he was curious about the women and their yoga experience. Then one day a few months back he came home and shared that a long, emotionally difficult case he’d been working on had wrapped up. The woman was sentenced to one year in the jail where I was working. He admitted he felt a moment anger that she would be able to take yoga classes after what she’d done. But then, he took a breath, sighed, and said that he would rather see her have the chance to come out better than to hurt any other children. We both softened. Within a week I too had a moment of questioning my decision to work with inmates. In an altercation with a man who was strung out on drugs and unhinged with violence, one of my husband’s co-workers was injured so badly he needed to be hospitalized. The perpetrator was arrested and taken to the jail where I teach. It was my turn to be angry and imagine that this man (or someone like him) could’ve hurt or killed my husband. Did I really want to support someone who could threaten one of the most valuable things in my life? I felt so deeply conflicted. Then I wondered if my husband felt betrayed by me because I was teaching at the jail. Did he feel I was either with him or against him? And did I expect him to be with me in my altruism or else he was against me? Life is too often defined as either this or that. And, it seems, when we choose our side we must also choose all the things that are aligned with that side. For example, if I’m a woo-woo yoga teacher then I must be against the police. Our culture increasingly demands that we stake our claim, unwaveringly. 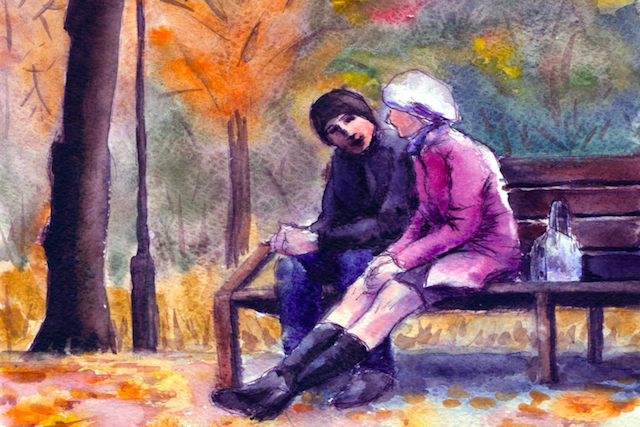 When we fall into the trap of an either/or mindset we shut ourselves off from opportunities, connections, and relationships that could alleviate suffering for people on both sides of the issue. Either/or thinking is divisive at best. It places us firmly in our own silos, cloistering us in an imaginary us versus them utopia, whereas “both/and” thinking creates community and connection. It allows us to begin to build webs of supports that extend beyond our own ability to impact change. Perhaps you’ve found yourself in the either/or conflict when you discover that your favorite co-worker supports the opposite political party. You feel your stomach tighten and then extrapolate what else they must believe that you find offensive. These mental games likely result in feeling that you’re at war with this person, resulting in your work relationship suffering. A great place to start to transition to both/and thinking is to use the Zen Buddhist tenant of “not knowing.” When we open to the fact we don’t know everything about the situation it softens us. In the example of your coworker, perhaps they’ve been influenced by different life experiences that have shaped their beliefs and opinions about what’s best for our country and the people in it. And perhaps you even share similar values but hold different perspectives about the best approach to honoring them. When you consider that people who seem against you may also have good intentions, it’s easier to find common ground and work together instead of against each other. When my husband and I began to see our situation as both/and not either/or it was much easier to see how each of us could positively impact the individual systems we work in and, even in a small way, create healing for those involved. Seeing that my husband’s work is necessary and my work is necessary, even within the same situation, is a powerful force that creates change. It would be easy to put me in my woo-woo yogi silo and my husband in the cop silo. Instead, we agreed to focus on both our work and how the overlap can be an opportunity to dissolve the hard lines of either/or thinking and look for the places where “and” exists. Then we lean deeply into those places, because these are the tender places of real change. We need to learn to make our silos more permeable. One of the other things I’ve learned in my Buddhist Chaplain program is that when we consider the best way to positively impact how a system is functioning, we can start by focusing close in, then zooming out. If I am standing in the middle of a river I can feel the power of the flowing water, but when I stand on a mountaintop and look down at the same river it can look calm and peaceful. Both of those perceptions of the river are correct, but I’ve changed my vantage point. When we feel ourselves being asked to take an either/or position we can take a moment to zoom out and in to find balance in our perspective taking. We need to do both, get wet and get distance! Another negative outcome of the either/or mindset is that it forces us to find blame. When I assume the either/or mindset in a situation, then by default the person who is opposing me must be incorrect and therefore is also to blame when things go wrong. When we are looking for someone to blame it takes us out of accountability for our own actions and it removes us from being empathetic to another person. Without empathy, it is very hard to come from a place of compassion. And without compassion, we de-humanize the other person. The result of dehumanization is believing that the other person is less than us and therefore deserving of whatever bad things come their way. In the case of my husband and the woman he sent to jail, rather than dehumanize her with an either/or mindset, he saw her as both human and deserving of something good, while she took responsibility for her action. 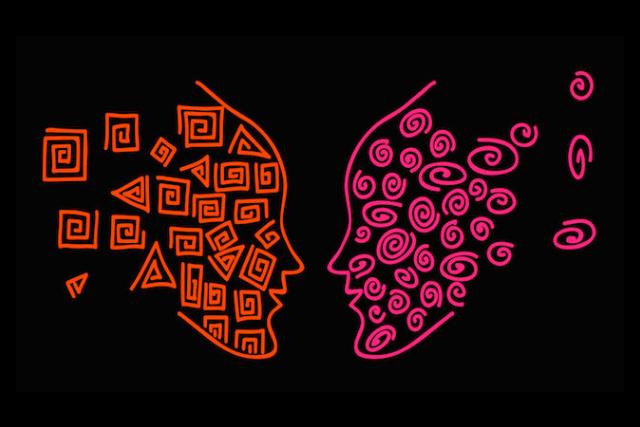 Each time we choose a both/and mindset over an either/or mindset we release ourselves from having to find someone to blame and we stay connected to our human experience without dehumanizing another person. A both/and mindset doesn’t mean we have to let go of being change-makers in the world. The world needs change-makers now more than ever. But there will never be peace and compassion in the world if we can’t do both—get in the river to feel the power and climb the mountain to see the calm. As one of my teachers at the Upaya Institute said, “A nudge of calm can shift a storm.” Be the nudge, not the storm. Paula Stephens, M.A. is a speaker, author, yogi and the founder of Crazy Good Grief. She is studying to become endorsed as a Buddhist Chaplain and currently works as a volunteer chaplain and yoga teacher at a jail near her home in Denver, Colorado. She is also a hospice chaplain, wellness coach, and ERYT Yoga Instructor. The post It’s Not Either/Or: The Power of Opening Your Mind and Seeing Both Sides appeared first on Tiny Buddha.